Without Regulations, Businesses Blossom in Drone Technology Without Regulations, Businesses Blossom in Drone Technology – (Addis) Fortune – The Largest English Weekly in Ethiopia! Mulat Abera, a 23-year-old entrepreneur, used family connections abroad to invest 600 Australian dollars in a drone, a remotely-operated unmanned aerial vehicle, with a mounted camera. The drone Mulat purchased is the Chinese made DJI Spark, and he intends to use it to take aerial images of activities, events, landscapes and cityscapes. He wants to document the current state of Addis Abeba in the hope that the images will provide historical data that can find use in the future. Drone imagery has become a popular vehicle in movie and video productions, for television stations and in documenting occasions such as weddings and rallies. Mulat, a graduate in business management, has been interested in photography and wanted to use drone technology to enter an industry that has shown recent popularity in the city. Drones were largely absent in Ethiopia until the trend emerged recently, and many businesses and individuals like Mulat are now rushing toward opportunities opened by the technology. There are no current rules and regulations however that govern the importation and operation of drones in the country. As a result, Mulatu’s drone, brought into the country by one of his family members, was seized by officials at Bole International Airport last October over clearance issues. 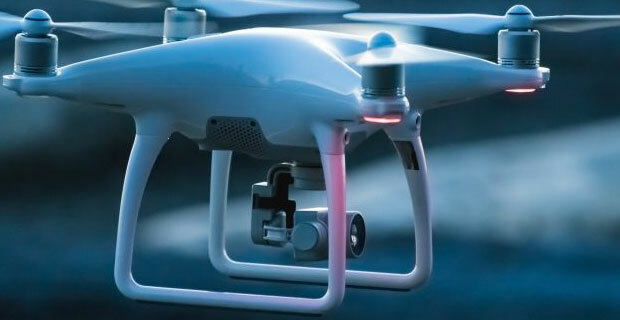 Officials at the Ministry of Revenues told him to obtain permission from the Ethiopian Civil Aviation Authority and the Information Network Security Agency to allow him to import the drone into the country. Officials at the Ministry of Revenues have held up clearance for Mulat's drone by insisting that he submit permission to import and operate the equipment. "But both of these government offices told me that I cannot obtain a license to import the item," he told Fortune. Animut Lemma, public relations director of the Ethiopian Civil Aviation Authority, confirms that no laws regulate the importation and operation of drones. However, the Authority is drafting a proclamation that has not yet become law, he said. The draft has now been made available for comments and has received feedback from the National Intelligence & Security Service, Defence Ministry and Information Network Security Agency. In the meantime, different media companies, individuals and film and video production companies own and operate drones. Among the media companies are LTV Ethiopia and Evangelical Television, both run by the same owners. Evangelical Television, a secular television station, has owned and operated a DJI Phantom 4, which costs 1,000 dollars, since 2017. According to Biruk Masresha, production manager at Evangelical Television, the station was neither required to obtain a license, a permit to import the product, nor to pay taxes when it brought the drone into the country from the United States. The station uses the drone camera to take footage for documentaries, to capture high altitude urban scenery and to record public events, rallies and gatherings. "The drones take footage very fast and are capable of taking footage from high elevations that are inconvenient or impossible to capture using regular handheld cameras," says Biruk. Messay Assefa, production manager of Arts Picture, has been in the rental business since 2017. Messay owns another Chinese-made drone, a Phantom 3, which he bought locally for 35,000 Br. But the drones and the cameras are very sensitive, and it is difficult to repair them once they sustain damage, according to Biruk. The station has two drones, one of which has a broken camera and is therefore not operational. Even though there are no regulations or laws governing the use and operation of drones, operators are prohibited from flying over 5,000m above sea level; and flights over palaces, embassies, aviation companies, military camps and some other restricted areas are prohibited. Nahoo Television Station is another operator of drones, initially launched in 2016 by Nahoo LLC, a Kenyan Media company in partnership with a local production company, Tuba Media Plc. Nahoo Television is now owned by Rosetta Media & Communications Plc, which acquired the shares of the station from Nahoo LLC. The station used a drone during three events, according to Michael Melaku, human resources manager at the station. "One of them was the June 23, 2018, rally held in support of Prime Minister Abiy Ahmed (PhD)," said Michael. For the events, Nahoo used drones owned by its partners, who bought airtime during regular television programming. "We used the drones for free, since the owners aired their programmes on Nahoo without paying airtime fees," Michael told Fortune. The drones are locally available for 60,000 Br to 70,000 Br. There are different types of drones categorized by size, types of propellers, cameras and materials used to manufacture the equipment and bodies of the drones. Drones are also available for rent. He rents and operates his drone for 2,000 Br a day when he works on films, videos and at wedding ceremonies. Messay has seen an increase in the number of people renting his equipment. He himself operates the drone as it is delicate to manage and needs special care during operations. The ministries of Health and Agriculture are in the process of procuring drone technology to distribute medical equipment and products, as well as for mapping purposes. Addis Abeba, Meqele, Hawasa, Jimma, Dire Dewa and Bahir Dar have been designated as medical supply dispatch centres, and the drones will operating over a 150Km radius from each dispatch centre. The Ministry of Agriculture is planning to create cadastral mapping data with six drones in Amhara, Benishangul, Gambella, Oromia, Tigray and Southern Nations, Nationalities & Peoples' regional states. The drones, procured by the Ministry of Agriculture will produce digital maps that contain spatial data, coordinates and GPS locations of individual parcels. Drones could play a significant role in shooting footage of remote areas that are not accessible, according to Henok Eferem, an ICT expert who completed his master's degree in drone technology. "Beyond videography and photography, drones are used for spying and conducting military tactical attacks," Henock says. Yemen is one of the countries where drone warfare has been conducted. In recent years, the number of drone attacks in Yemen has risen sharply, where an estimated 300 people have been killed as a result of unmanned aerial systems or drone strikes. Meanwhile, Tegene Derese, director of Bole Airport Customs Offices of the Ministry of Revenues, argues that anyone can import drones as long as they have a business license, open letters of credit and explain why they are importing the item. But things will get clearer soon after drones fall under government regulations, according to Mesfin Muluneh, central executive officer for security clearance at the Information Network Security Agency. "Once the proclamation is legislated, we will be able to control and regulate the importation and operation of drones," Mesfin said. Mulat, whose drone is sitting at the customs office, has delegated someone to process the issuance of a license and permit for him. "The process is taking too long," he said. "I almost forgot the issue and rarely call about my agent to find out where things stand."